Pokémon Go will not stop fumbling its tracking system. With each new update has come a slew of problems so damning that it’s a wonder people are still out there, tracking the little beasts with their phones. Last week, Niantic expanded Pokémon Go’s newly-updated “Nearby” feature to areas outside of San Francisco, where the company is based. It’s a tracking mechanic that’s gone through at least three iterations since the game’s release six months ago. Now, Pokémon Go’s “Nearby” feature is only helpful to players proximate to PokéStop, leaving more rural Pokémon trainers, who may be miles away from a PokéStop, high and dry. After six months, Niantic has failed to design a Pokémon Go that services rural players. 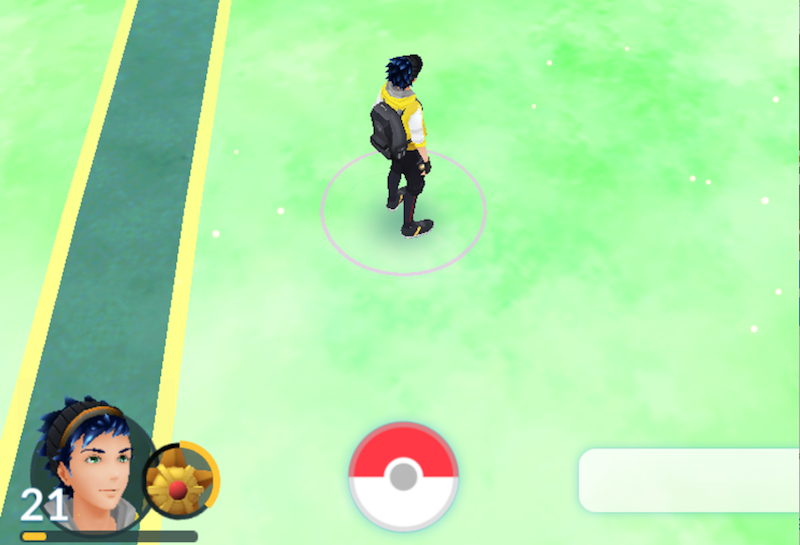 Initially, Pokémon apparently close to players would appear in the“Nearby” tab, with a number of footprints corresponding to their distance—or so it seemed. In truth, nobody knew how the damn thing worked. I’ll admit to wandering back and forth down the street, hot on the trail of a one-footprint Scyther before giving up an hour later. It was even worse for rural players. For them, Pokemon spawn more rarely, so hunting them based on some nebulous idea of “proximity” could mean hours and hours wasted in a cornfield. 1 Pawprint: Let me walk in every cardinal direction in the hope that I randomly find it. 2 Pawprints: Let me walk in every cardinal direction in the hope that I randomly find it. By mid-July, even that was broken. All Pokémon “Nearby” were, it seemed, the same distance away and therefore impossible to track. Soon after, Niantic began testing a new “Nearby” system in San Francisco. A proximate Pokémon’s image would appear over a picture of the PokéStop closest to it. So, certain Pokemon spawns could be linked to specific PokéStop. Clicking on the PokéStop would show you its location on a map. A “Sightings” tab shows players Pokémon within a block of several miles, but doesn’t give much instruction on tracking them. Here’s why the update screws rural players: In rural places, where PokéStops can be miles apart, players who want to track Pokémon based off those PokéStops may need to travel miles. Oh, so there’s a Pidgey by yonder PokéStop, two towns away? It’d be more time effective to just aimlessly wander around your neighborhood. Even though Pokémon Go is a game about walking and catching Pokémon, it’s pretty unrealistic to expect rural players to drive several miles out of their way to even track Pokémon—especially since there’s now a speed cap on catching Pokémon so (thankfully) it’s more difficult to do from a car. Over Reddit and on forums, diehard, rural Pokémon Go players are complaining that the latest tracking update is one more nail in the mobile game’s coffin. Some even say that the “Sightings” feature is always empty for them. Probably, no. No they did not. Niantic did not respond to our request for comment. In any case, Niantic is slowly rolling out the new tracking system in Western North America, Australia and Canada. Frustrated players may just stick to the the game’s most trusted tracking system yet: third-party apps.